Litigation is a costly and time consuming endeavor. It is often better to settle a case before litigation for various reasons. However, there are some cases that must be heard by an arbitrator, mediator, judge or jury before they can settle. In those cases, there are many things that can be expected – one of those is time needed for the case to be processed through the system. Cases may change from one path to another at various times in the litigation process. For instance, a case may start in a Conventional Trial path then enter mediation or arbitration by agreement of the Parties. We will work with you during the course of litigation to determine the best resolution of your claim. What Happens If The Case Cannot Be Settled Amicably? If the other side refuses to make a reasonable offer, we may have to enter your case into litigation. A case that enters into litigation may take several paths. We will consult with you concerning which one is right for you. All of them take time – some more than others. A case in any form of Litigation may resolve at any time the Parties reach an agreement to settle. Private Mediation: In any disputed case, including cases involving claims for personal injuries, the Parties can agree to submit the matter to a Mediator outside of the Court system. The Parties have control over the time needed to prepare for and conduct the Mediation. The Mediator attempts to bring the case to an amicable resolution. If a case that is entered into mediation does not resolve, the case will typically enter one of the other forms of Litigation. Private Arbitration: If the injured party and the adverse party agree, the claim may be submitted to an Arbitrator outside of the Court system. Usually, the Arbitration is binding and final. In such cases, the parties have control over the time it will take to complete the Arbitration. The parties may also make agreements that will control the costs of litigation and the penalties for losing at the Arbitration. The Court Annexed Arbitration Program: The Nevada Supreme Court initiated the Court Annexed Arbitration Program several years ago to reduce the Judges’ caseloads and the costs of litigation to the Parties. Certain cases (including personal injury cases with an expected value of less than $50,000.00) are required to enter this Arbitration Program. The Parties may agree to have the case heard by a Mediator under the Court Annexed Mediation Program, or agree that the case can go directly to the Short Trial Program, thus bypassing Arbitration. It usually takes between 6 to 12 months for a case to be heard by an Arbitrator. Any party may request that the case be heard under the Court Annexed Short Trial Program if he does not agree with the Arbitrator’s decision. The Court Annexed Mediation Program: In cases that are required to enter the Court Annexed Arbitration Program, the Parties can agree to enter a case into the Court Annexed Mediation Program. The Nevada Supreme Court has set rules for Mediations under these Rules. The Parties can agree to a Mediator, or one may be assigned by the Court. The Mediation must be conducted within 60 days of the Mediator’s appointment. The Mediator’s Fees are set by the Court. 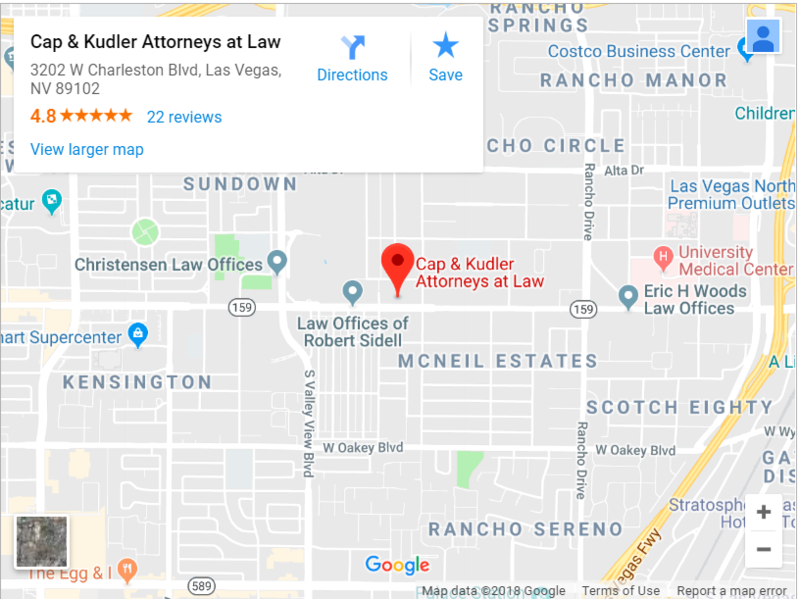 The Short Trial Program: The Nevada Supreme Court initiated the Short Trial Program as a method of reducing the cost of litigation and the Judges’ caseloads for cases that are not resolved by the Court Annexed Arbitration or Mediation Programs. Parties to a lawsuit that is not required to enter the Court Annexed Arbitration Program or the Short Trial Program may agree to have their cases tried under the Short Trial Program Rules. Unless otherwise agreed, a Short Trial must be heard in one day by a Judge Pro Tempore appointed by the Court. These Judges are experienced lawyers in the community who give their time to the Court and the Parties for a low fee. Cases are decided by the Judge or by a Jury of four persons selected from our community. The Parties may agree be bound by the decision of the Short Trial Judge or Jury. Conventional Trial: Sometimes it is necessary to resolve disputes, including personal injury cases, by conventional Trial. A case not otherwise settled or required to be heard by an Arbitrator, Mediator or Short Trial Judge will be resolved by a conventional Trial. The case may be heard by a Judge or by a Jury of eight persons from our community. This can be the longest and most expensive form of litigation. Typically, these cases take one (1) to two (2) years to get to Trial. They can take up to five (5) years to be heard by the Judge or Jury. The general rule in all forms of litigation is that the loser must pay the prevailing party’s attorneys fees and costs. The attorneys’ fees that can be awarded by the court following a conventional trial can be tens of thousands of dollars. There are many rules that the Court can apply in determining if and what attorneys’ fees will be awarded to the prevailing party. The Courts may also consider awarding pre- and post-judgment interest to the prevailing party. These amounts are determined by the Judge or Arbitrator unless otherwise agreed to by the Parties. Call us today at (866) 412-7166 or submit an online form to schedule your free consultation.